Ross holds a Master’s Degree in Canine Behaviour & Psychology after graduating from Middlesex University. He is a full member of the British Institute of Professional Dog Trainers and a Fellow with the Canine and Feline Behaviour Association of Great Britain. He is acknowledged as a master dog trainer with the Guild of Dog Trainers. In addition to his full-time practice, Ross also finds time to contribute to a number of British Pet magazines and Newspapers including ‘Your Dog’ and the ‘Our Dogs Annual’ and he is a feature writer for ‘Dogs Monthly’ magazine often examining complex human/canine relationships. He has also written for magazines such as Prima as a dog expert. Ross is also director of communications for the Canine & Feline Behaviour Association of Great Britain. 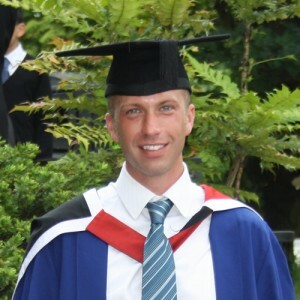 Ross is a tutor and lecturer with the Cambridge Institute of Dog Behaviour & Training (CIDBT). He is also involved with Social Services Family Placement teams as a Canine Temperament Assessor & Advisor. He has also worked as an expert witness in court / legal cases under the Dangerous Dogs Act 1991 and the Dogs Act 1871. Recently Ross has been heavily involved with the Guild of Dog Trainers ‘Balanced, Intelligent Dog Training’ campaign and is delighted to have been chosen by the Pet Education, Training & Behaviour Council (PETbc) to assist with their guide to training and behaviour standards which can be seen here. 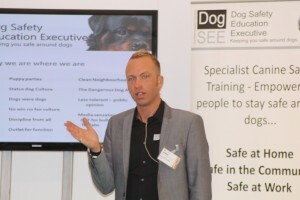 Ross is a founder and specialist dog handler with the Dog Safety Education Executive (DogSEE) which is a successful, independent training organisation specialising in canine safety training. He regularly works with the London Borough of Waltham Forest and Camden Councils as a dog behaviour advisor and has worked with Kent Police Dog School as an independent assessor along with Lewisham and Hertfordshire Councils and many more. Ross was delighted to be asked by The Kennel Club to speak at Crufts 2014. The lecture was far over-subscribed and he ended up doing two lectures to over 200 delegates. He also regularly speaks at the National Dog Warden Association conferences. He has also appeared frequently on BBC Radio London (listen here) and numerous other stations discussing dog related topics. He offers seminars and speaking engagements throughout the UK.